Understanding the techniques for joining fabrics together in a way that considers durability, strength, leak-tightness, comfort in wear and the aesthetics of the joints is critical to the production of successful, structurally secure fabric products. 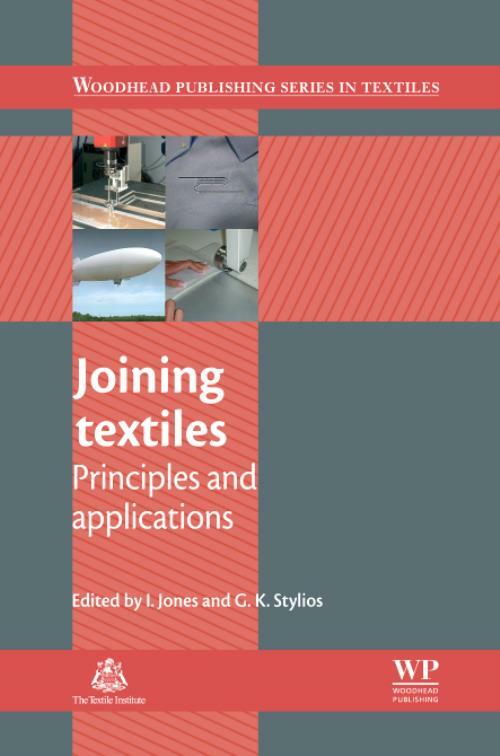 Joining textiles: Principles and applications is an authoritative guide to the key theories and methods used to join fabrics efficiently. Part one provides a clear overview of sewing technology. The mechanics of stitching, sewing and problems related to sewn textiles are discussed, along with mechanisms of sewing machines and intelligent sewing systems. Part two goes on to explore adhesive bonding of textiles, including principles, methods and applications, along with a review of bonding requirements in coating and laminating of textiles. Welding technologies are the focus of part three. Heat sealing, ultrasonic and dielectric textile welding are covered, as are laser seaming of fabrics and the properties and performance of welded or bonded seams. Finally, part four reviews applications of joining textiles such as seams in non-iron shirts and car seat coverings, joining of wearable electronic components and technical textiles, and the joining techniques involved in industrial and medical products including nonwoven materials. With its distinguished editors and international team of expert contributors, Joining textiles is an important reference work for textile product manufacturers, designers and technologists, fibre scientists, textile engineers and academics working in this area. Jones, IIan Jones is Principal Research Engineer at TWI Ltd, UK. Stylios, G KGeorge K. Stylios is Professor of Textiles and Director of RIFleX at Heriot-Watt University, UK.